Vitamins and nutrient are essential to health and exist in order for our natural bodily functions to carry out their jobs. It is possible however, for a number of reasons to find that your health is affected because your body is not receiving the amount of these substances that it needs in order to perform correctly. There are several possible reasons for a vitamin deficiency to occur. It may be that you are not eating a diet that is rich in the required substances and that you need to review your dietary intake. For some there may be a physical reason for the deficiency such as a problem with absorption once the vitamins are ingested or it may be that due to illness or other disorders, your body cannot keep the nutrients in the system for long enough. Some new mothers will understand how difficult it can be to establish breast feeding which is absolutely essential for the infant's development and others may find that because of physical abnormalities such as a cleft pallet or pyloric stenosis their baby is not feeding as adequately as it needs to. There are many problems that can arise because of a vitamin deficiency many of these may start in early childhood. A child's body develops more during the first few years of life than at any other time. A vitamin deficiency may cause long term problems with mental development, poorly developed senses and possible physical difficulties to name a few. 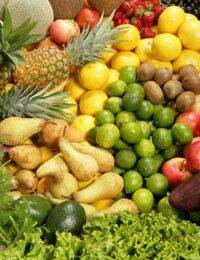 The list of vitamins is extensive and each deficient vitamin results in specific affects on health. For example a deficiency of vitamin D may result in a long term susceptibility to fractures and problems of the skeletal system and a higher probability of developing heart diseases to name a few. A lack of vitamin E, though quite rare may result in a newborn having a low birth weight and a consequential inability to metabolise fats correctly. A shortage of vitamin C will cause muscles weakness and the immune system to become weaker therefore leaving the person more susceptible to infections and illnesses. It has also been found that a lack of some vitamins may contribute to the development and growth of cancerous tumours in the body. The treatment of a vitamin deficiency depends largely on what is causing the shortfall. For most a few dietary changes may be all that is needed whilst for other a full medical assessment may be required to determine the cause of the problem such a malabsorption which will need medical attention. Many of these problems can be treated by taking as supplement but this should only be carried out on the advice of your doctor.Infants should be monitored closely to ensure that they are receiving the vitamins, minerals and nutrients they need and this can be achieved by attending all health visitor or doctor appointments and ensuring they are gaining weight sufficiently. The best way of preventing a vitamin deficiency is to ensure you are taking a varied and balanced diet throughout life. This is especially important during pregnancy and childhood as many of the problems that can occur later in life can be prevented during this time as the body grows and develops. You must encourage your children, pregnant women and nursing mothers to be aware of the importance of vitamins and how to avoid a shortfall in the diet. Vitamin deficiency can have disastrous effects on health and can cause a multitude of problems such as visual impairment, mental development and physical difficulties and weaknesses. Many of these problems may occur later in life but can be the result of poor nutrition in the younger years. In order to avoid these problems a healthy diet should be taken, supplements used if deemed necessary and any gastro-intestinal problems reported to your doctor so that treatment can be offered before any long term problems arise.